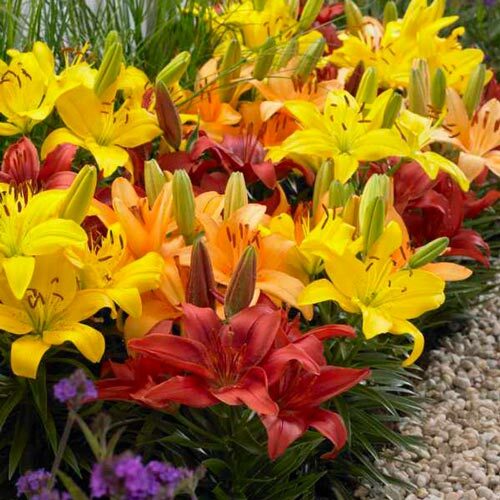 A colorful mix of Lilium 'Orange Pixie', 'Crimson Pixie' and 'Butter Pixie'. 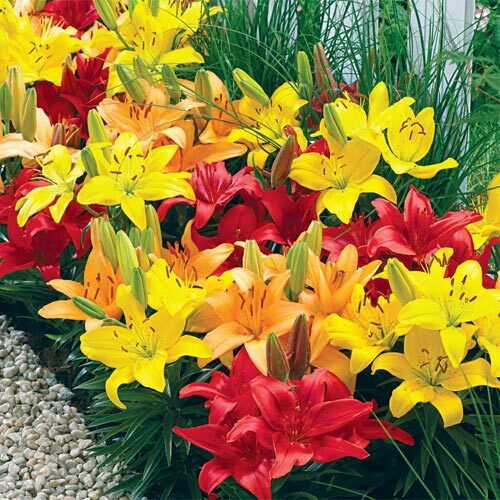 Great for planting in containers, the front of borders and along walkways. Growing just 14-16" tall, they will return year after year, increasing in number and beauty.